These past several weeks have been the most challenging, engaging, and transformative of my life. I’ve have had the fortune of being able to travel abroad for the first time in my life, to Shanghai, China, to work at a hedge fund known as ZAIS Group, LLC. This is an opportunity that I was able to discover through M&T and fund through the very generous M&T Intern Fellowship Award for summer internships, and I am forever grateful. The opportunities and resources that this program provides are unparalleled. At ZAIS, a hedge fund that focuses on a fixed income strategy, I’ve been seamlessly integrated into the daily functions of the Collateralized Loan Obligation team as a credit analyst. CLOs are a sophisticated financial instrument that, in short, bridge the gap between investors and businesses, satisfying business’ need for credit and investors’ desire for returns. I graduated from high school just one year ago, and to now be learning about such sophisticated financial instruments and the intricacies of hedge funds and the wealth management industry is mind-boggling. The employees at ZAIS have been great coworkers, but also friends. For one, they have helped me fully understand the sequence of events that led to the subprime mortgage crisis, in addition to the structure and function of tools such as CLOs, but also Mortgage-Backed Securities, Credit Default Swaps, and more. These were always topics of discussion back in high school debate, and now in college debate as well, and I can finally say with confidence that I understand these very complex financial instruments. Moreover, they have helped me assimilate to local culture, introducing me to local foods, showing me around town, and really helping me to appreciate all that Shanghai has to offer. 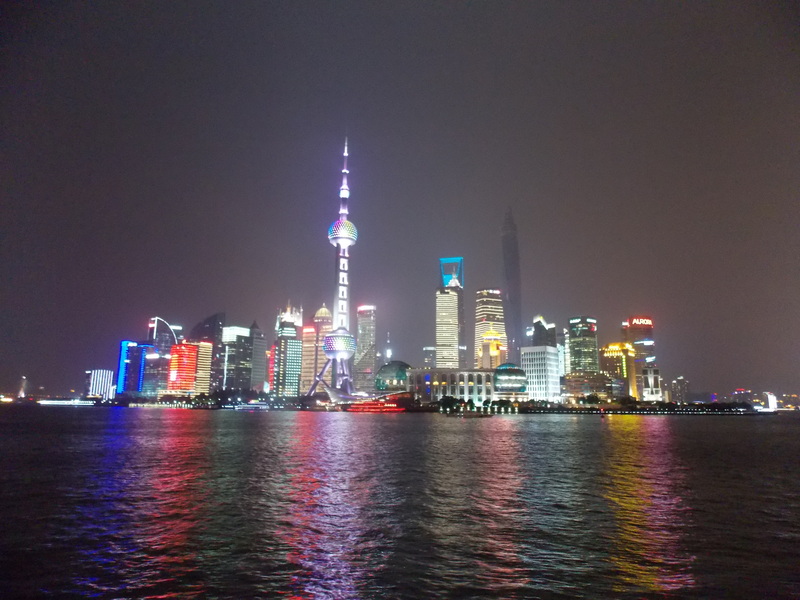 Shanghai is a great place for a first-time traveler such as myself, given the prominence of Western culture and English speakers, but I’ve still definitely been able to have the international experience that we all seek when leaving the United States. I’ve had more dumplings than I probably should, picked up some basic Chinese, purchased far too many fake Rolexes (and honed in on my bargaining skills as a result! ), explored ancient Chinese temples, and have been to the top of the World Financial Center. The greatest thing I have gained has been internal; I’ve learned a lot about myself. Coming from a low-income family, I’ve naturally been aware of socioeconomic disparities, but not the relativity of them. By relativity, I mean that poverty in the US is nothing like it is here. Shanghai is one of the wealthiest cities in the world, and people like to enjoy their success, which is something I wholeheartedly support. However, one poignant afternoon in People’s Square, I encountered a man missing all limbs but one arm, pushing himself along the street on a skateboard, begging for a single Yuan from passersby (the equivalent of approximately sixteen cents). I was struck by the number of people wearing Ralph Lauren shirts, carrying Prada bags, and wearing Rolex watches (the real ones), that couldn’t even spare this man a glance. Disparities, of course, exist in the US too but I think society and repeated exposure has a tendency to desensitize us from them. Why do we view the homeless, the impoverished, as nuisances? Burdens even? Why do we turn a blind eye to heart-wrenching and ever-increasing social gaps? Why do we pay a premium for the logo on our shirt when we can provide dinner to an entire family? We’re all guilty of this, including myself. The “American Dream” has us striving for riches and ways to display them, when we should be looking to solve social crises like this. A shift in attitudes is the only way that we can begin to really tackle these issues with exigency, and I’m overwhelmingly appreciative that this trip has pushed me to make that shift. 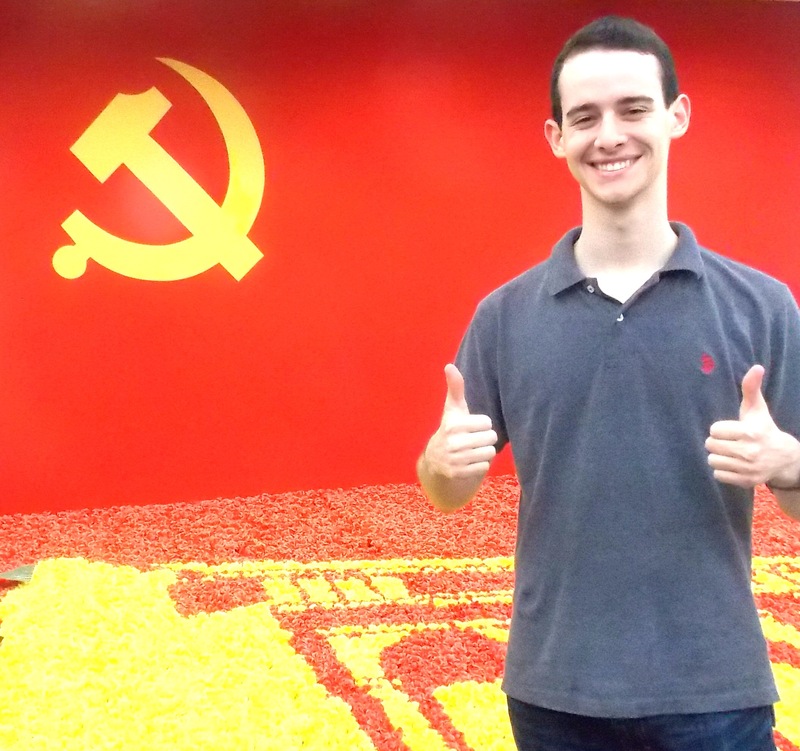 My trip to China has helped me arrive at several conclusions about my future and myself. I want to help people. A lot of people. I’m fascinated by finance, but also seek to find its intersection with social impact. I think that engineering technologies that can improve the lives of impoverished people at an affordable price is where I want to go with that. Many coworkers at ZAIS have even turned me on to fields such as impact investing, which can tie in nicely with this aspiration. By looking at how we define terms like “success” and “investment” and only labeling an investment as a “success” if it generates financial AND social returns, there is a lot of potential for progress. Thank you M&T for helping me embark on what has truly been the most phenomenal experience of my life. I’m a better person because of it. David is a member of the M&T Class of 2017 who came to Penn from Hollywood, Florida. He studies Systems Science within Penn Engineering and has yet to declare his concentration in the Wharton School. Great read! I’d love to have a similar experience myself someday.